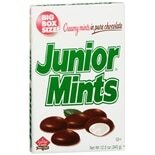 Shop Junior Mints Candy (4 oz. )4 oz. 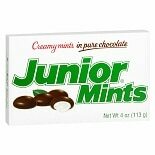 Shop Junior Mints Candy (10.5 oz. )10.5 oz. 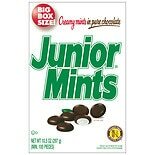 Shop Junior Mints Candy Theater Box (3.5 oz. )3.5 oz. 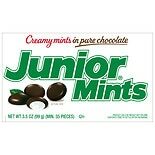 Shop Junior Mints Candy (12 oz. )12 oz.